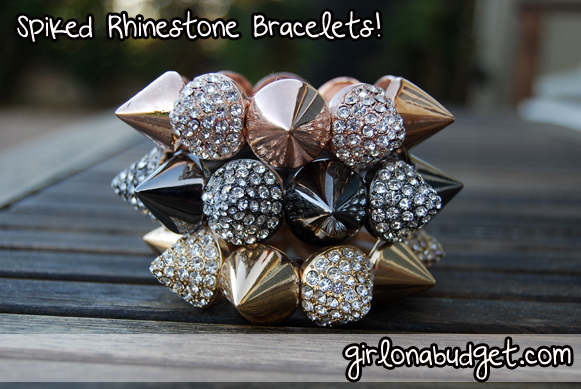 A lot of people on Instagram have been asking me where I got my spiked rhinestone bracelets, I bought them off of Amazon (if you search for “spiked rhinestone bracelets” they should pop up), the seller is Star’s Jewelry. They are $14.99 each and Amazon had a deal where if you spent over $30 you would get free shipping.They are very durable meaning they do not feel cheap and have some weight to it). 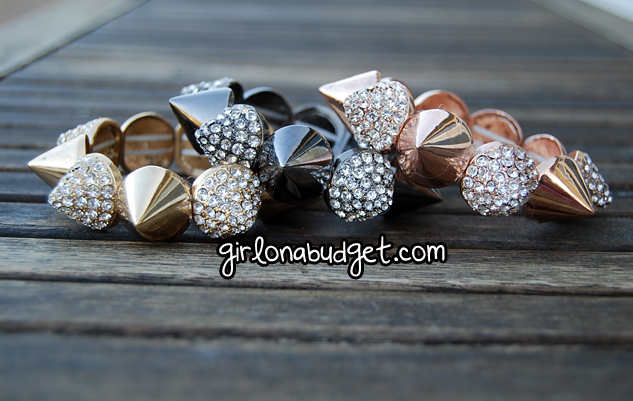 I bought them in 3 colors: Rose Gold, Silver, and Gold. HOWEVER, the “silver” was actually the black rhodium, and they sent me the wrong one and didn’t realize it till recently, so the middle one in the picture is NOT in fact the silver, but the black rhodium. Just wanted to make it clear in case you order silver and actually get the lighter version. I’ll definitely be getting these! 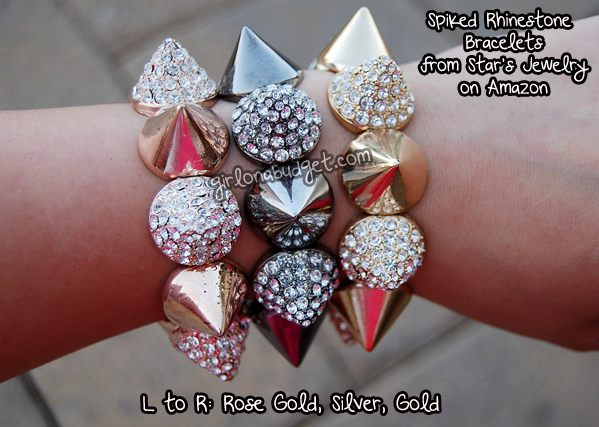 Stunning spiked bracelet. Truly dazzling and eye catching. The spikes and the Cheap rhinestones on it is really distinctive. Wow!